for $484,000 with 3 bedrooms and 2 full baths. This 1,848 square foot home was built in 1979 on a lot size of 80 X 80 X 120 X 120. 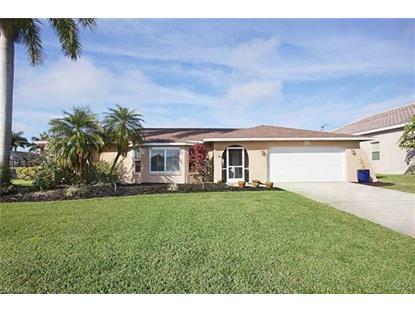 Beautiful 3 bedroom and 2 bath waterfront home located in popular Cape Coral neighborhood. Direct sailboat gulf access. Desirable open gourmet chef's kitchen with 6 burner center island gas stove top, convection oven, granite counter tops, and upgraded stainless steel appliances. Impact resistant sliders and windows. Plantation shutters throughout. Tile and wood flooring. Unique and decorative tongue and groove ceilings. 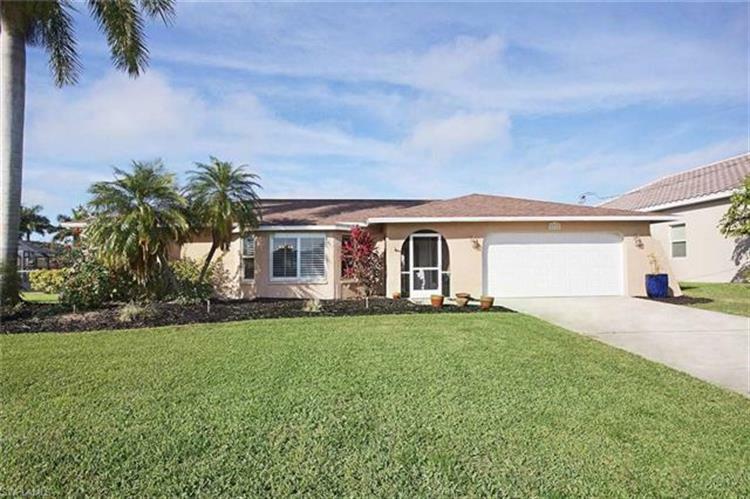 Comfortable living with spacious west facing outdoor living/lanai area. Privacy UV shades and colorful Florida sunsets. Picture perfect view from easterly facing front of the home. Sip your morning coffee and watch boats settled in the canal and the glorious sunrises. Screened pool area with paved pool deck, stand alone spa, and privacy screens. Built in concrete and composite dock that wraps around a 10, 000 lb. boat lift and holds up to a 30 ft. boat. Newly installed roof and garage door. Large fenced backyard. Raised kitchen herb garden. Minutes from Tarpon Point Marina for dining and shopping, walking trails, dog park, and butterfly gardens.